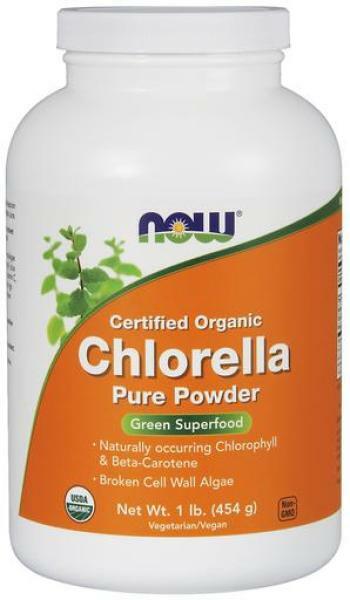 NOW Chlorella Powder (Certified Organic) - 1 lb. Chlorella Powder (Certified Organic) 1 lb. NOW® Chlorella delivers the natural nutrient profile found in Genuine Whole Foods. cholesterol, dietary fiber, sugars or calcium. Ingredient: Organic Chlorella (Broken Cell Wall).